Foldastamp (45 x 45mm) folds flat in a perspex holder. Commonly used for common seals for companies, stratas and incorporations. Ideal for attaching to files. 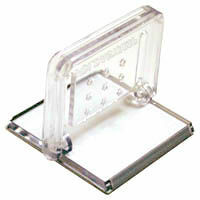 Add a Shiny size 1 stamp pad for only $8.00. Ink colours include black, red, blue, green and violet.